Rice, rocks and the parasitic weed Striga: Increasing sustainable cereal production and protection in sub-Saharan Africa. David’s project will assess how rice uptake and accumulation of silicon can be used to mediate its resistance to the devastating yield-loss causing parasitic witchweed, Striga. He aims to assess silicon-induced resistance, which is expected to occur through mechanical strengthening of plant cell walls and/or through priming and upregulation of biochemical and molecular defence pathways. Furthermore, through exploitation of newly-available rice genetic resources, David aims to use molecular mapping to identify in rice the genes that enhance its ability to uptake and accumulate silicon, as well as the genes that enhance the ability of its roots to exude proton and organic acids that accelerate the weathering of crushed silicate rocks into biologically available silicic acid. David’s project establishes linkages between the Leverhulme Centre for Climate Change Mitigation, the Grantham Centre for Sustainable Futures, and Plant Production and Protection. The project builds exciting new collaborations between Professors Julie Scholes, David Beerling and Jurriaan Ton, combining molecular genetic and biogeochemical expertise from these supervisors. David holds an MBiolSci in Biology from the Department of Animal and Plant Sciences at the University of Sheffield, where he has been involved in many projects. In his third year, he investigated differences in resistance between rice cultivars to the parasitic witchweed Striga. In his fourth year, he studied the effect of elevated CO2 on rice photosynthesis and leaf anatomy. David undertook a Genetics Society undergraduate summer studentship, where he investigated the role of receptor-like kinases on seed germination, seedling establishment and drought tolerance in Arabidopsis and he also worked the previous summer as a student in molecular ecology. 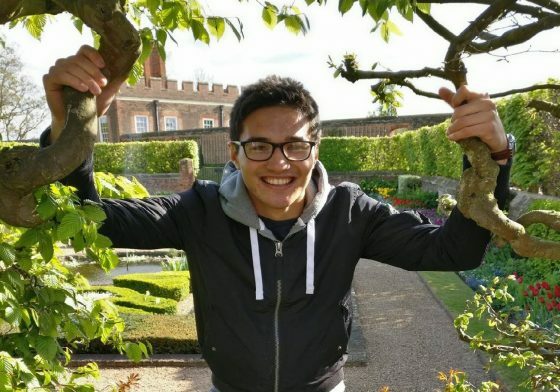 His fascination in plant molecular biology has been deep-rooted since before starting university, where he investigated the role of phytochromes on circadian rhythms and the cell cycle in Arabidopsis at Royal Holloway as a Nuffield Foundation summer student.